Multiple economic and political challenges have called into question the future status of the U.S. dollar as the world’s dominant reserve currency, but backlash from Argentina’s recent spat with the United States over defaulted bonds appears to be fueling interest in reforms that may have beneficial implications. According to the IMF, some 61 percent of the world’s known foreign exchange reserves held by central banks around the world remain in low-yielding dollar-denominated assets, mainly U.S. Treasury bonds. The United Nations Conference on Trade and Development (UNCTAD), China, and heavyweights in the Global South, including Brazil, are calling for international trade agreements that would give emerging economies “policy space” – allowing national governments to impose capital controls, fund exports, subsidize local industry, and keep financial services national. Private U.S. banks, however, claim that continued U.S. dominance of world capital markets – a crucial pillar of continued reserve currency status – requires ever more open trade in financial services. The BRICS complain about the U.S. government’s “exorbitant privilege” as the reserve currency country, with some of the sharpest complaints coming from joint statements by Brazil, Russia, India, China and South Africa. Chinese officials, though, worried about their own large dollar investments and ambivalent about the implications of renminbi internationalization, more than once have pulled the group toward a softer tone. Argentina’s ongoing sovereign debt negotiations provide a different window onto the dollar’s reserve currency status. Like most countries, Argentina has held a large chunk of its government’s savings in the U.S. and hired private U.S. financial institutions as its international bankers. Today it is trying to extricate itself from U.S. markets and do its saving and financial intermediation elsewhere. Iran and Russia are doing the same, but Argentina has no foreign policy quarrel with the Obama Administration – and is not subject to U.S. financial sanctions over nuclear or military adventurism. Buenos Aires is among those who chafe at U.S. power through the dollar, but it is primarily motivated by the U.S. Supreme Court’s decision in July to let stand a lower court judgment in favor of investors holding bonds from Argentina’s $82 billion sovereign debt default in December 2001. Although 92 percent of the original bondholders accepted the Argentine government’s restructured (lower value) bonds in 2005 and 2010, New York Federal District Court Judge Thomas P. Griesa ruled that Argentina’s failure to settle with the holdouts means that any U.S. financial institutions, or their international affiliates, that intermediate funds enabling Argentina to stay current on payments to the majority will themselves be in contempt of court. This has sent Argentina into “technical default.” Argentina is suing the U.S. in the International Court of Justice (whose jurisdiction the U.S. refuses to recognize) and in the court of global public opinion – pushing, for example, a recent proposal for global financial reform before the U.N. General Assembly. It has also welcomed an $11 billion currency swap agreement with China, and Chinese state banks have since pledged $6.8 billion in new infrastructure loans. Some observers speculate that the very first loan of the New Development Bank, newly organized by the BRICS countries, could go to Argentina. The Argentine bond case harms the perceived fairness and credibility of U.S. financial markets and, by extension, the strength of the U.S. dollar because the recent legal judgments seem capricious to many. Senior figures at the IMF have long supported the routine inclusion in all international sovereign bond issues of a so-called “collective action clause,” which would make any restructuring accepted by two-thirds of bondholders binding on all. The European Union already has ruled that sovereign bonds issued within the EU, including many for troubled Eastern or Southern European governments, must contain such clauses. Moreover, the International Capital Markets Association, representing more than 400 of the world’s largest private investment institutions, has just issued a position paper endorsing obligatory collective action clauses, placing it on the same side of this issue as non-governmental organizations advocating financial architecture reform such as the New Rules for Global Finance and the Jubilee Debt Campaign. This would give taxpayers in emerging economies – the ultimate backstop of the creditworthiness of their governments – the same bankruptcy rights as firms and households. 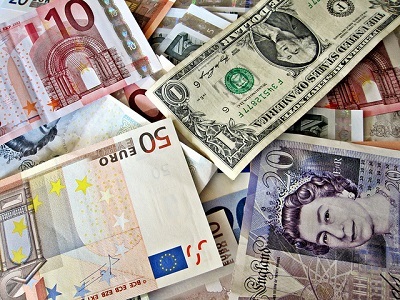 It is not in the interest of Latin American and other emerging economies for U.S. currency and financial dominance to end anytime soon – a tripolar reserve currency system based on the dollar, euro, and reniminbi does not yet appear able to sustain the worldwide growth and prosperity of recent decades and may in fact entail significant risks – but fairer rules for sovereign financing would benefit everyone. * Leslie Elliott Armijo is a Visiting Scholar at Portland State University and a Research Fellow at CLALS. She has just published The Financial Statecraft of Emerging Powers: Shield and Sword in Asia and Latin America (London: Palgrave, 2014).